More and more people are getting involved in creating DIY Halloween costumes, or Halloween costumes to make. 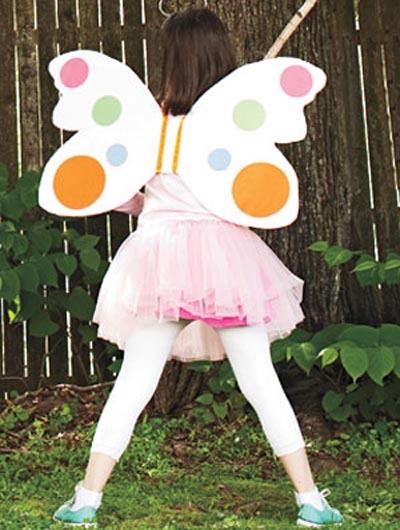 Creating Halloween costumes can be cost effective if you are using recycled materials. Others spend more for their DIY Halloween projects because they want to use exquisite materials. 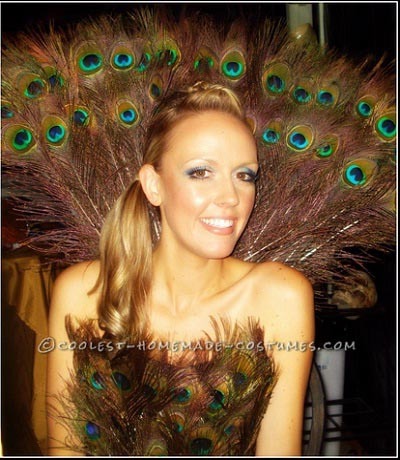 Although there are affordable ready to wear costumes available the fitting may not flatter your body or you might find someone else wearing the same costume. Hence, going for homemade Halloween costumes can be a great option. 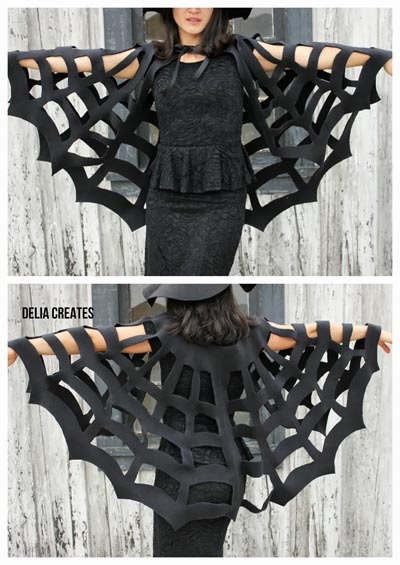 Making your own Halloween costume can be time consuming but there are a lot of benefits. When you make your own costume you exercise your creativity part of the brain which is healthy. It can be a form of escape from stressful environment. When you create a costume you can have fun doing it with your family or friends. Once you finished your DIY Halloween Costume it makes you feel proud that you accomplished something. Who knows, creating costumes can be your future business. 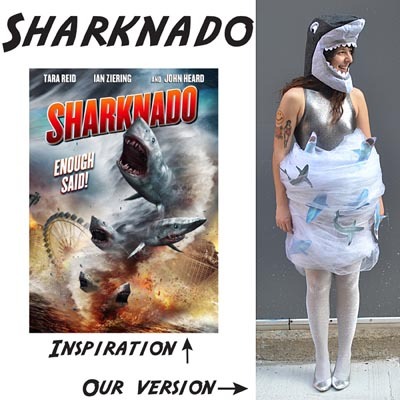 So, here we are providing some ideas on DIY costumes for Halloween. I’m going to show you some ideas to make DIY Halloween costume. For adults we want to look best on Halloween. We want our costume to look eccentric. To achieve our goal we must have a complete look. We have to fix the hair by putting gel or spray on. The makeup must at least look scary or crazy even if you’re not using a complicated make up like prosthetics. You can get ideas of your costumes from your favorite horror films. This is from the movie Sharkanado. The head dress is a bit complicated because you have to make patterns for the head of the shark, sew it and stuff it with cotton or throw away garments. Then sew it again to seal. Then for your clothes you can wear silver leotards and white tights. Then wrap yourself in tulle to get the tornado effect. You can draw sharks in a piece of paper and cut it out then place it every where in the tulle. Now this is something out of the box because you don’t put the zipper on the clothes but you paste it in your face. Which is really creepy? You can put on your regular foundation and blush on your face. Focus on your eyes by putting eyeliner on around your eyes. Then put on your favorite mascara to finish it. Tape or paste the zipper from your forehead to your nose at an eye level. 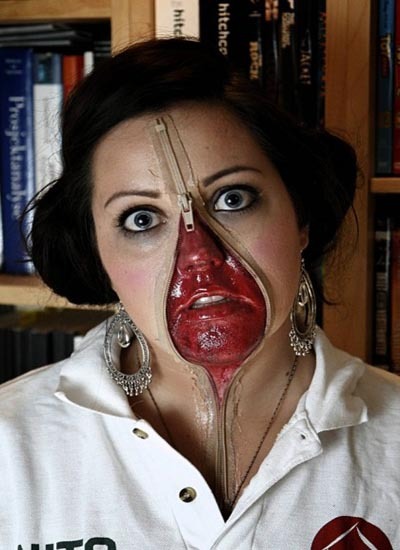 Unzip it from your nose and tape the two strands of the zipper at the sides of your face to your mouth. Then try color the open part of your zipper that means your nose and mouth with red lipstick. Tape the remaining zipper to your neck but this time stick the two strands together. You can wear anything with it because your face is your costume. 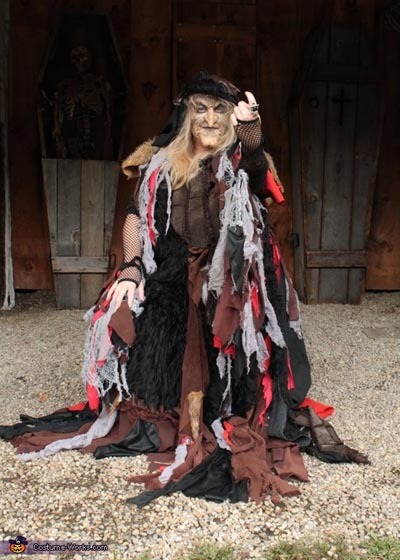 This one will take you a month or more to do this because this is not the common witch costume. You will need a plain black dress as a base. You can use net stockings for your sleeves. The idea is sew different sets of fabrics cut into different sizes of stripes into your base. You have to add more fabrics until it the dress looks full. Put on a witch mask and a hat to match it. You will need a black tube dress as your base. You don’t need to sew to make this dress. Just use a glue gun to stick the feathers in your dress starting from top to bottom. You can use a black cloth to wrap around your waist to accentuate your shape. Then at the back use longer feathers and glue it upwards to achieve the fairy looks. You want to create a DIY Halloween Costume but you feel that you have no time. Instead of buying or hiring someone to make a costume there are simple and easy to make costumes. Not only will it save your money but it will also save your time but still looking perfect. 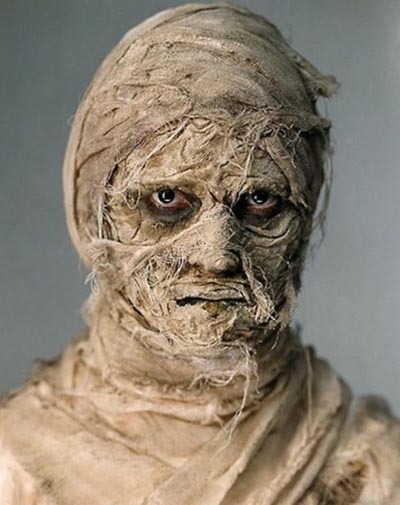 To create your own mummy you can use white bandages. Then dip the bandages in a brown die. Don’t dip it too long because we don’t want to achieve dark brown color. We just want it look to look dirty. Another way to color your bandage is to dip it in a bowl of coffee. Dry the bandages and wrap it around your face and body. This is one is very easy. First you can practice doing this on a paper. Fold the paper in the smallest triangle. Cut moonlike shapes on the sides of the folded triangle. Open it and you have a spider web paper. Now you can do the same for your black cloth. Learn more about this Lady in web costume. Do you want an easier task? This one can be done in thirty minutes. In a white sheet of cartolina, try to draw the shape of a butterfly. Cut the shape and color it. Put two ties in the middle so you can hang the wings at your back. 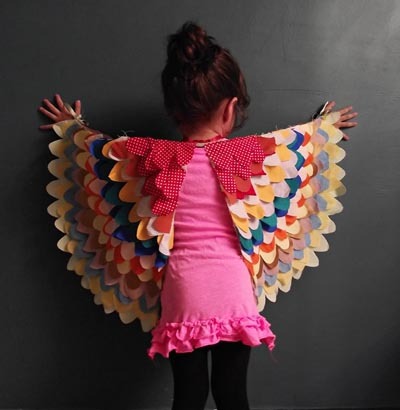 Learn more about this Paper Butterfly costume. For this one you will need a black jacket with a hood. Then you will need 2 pairs of black socks and fill it any cotton or fabric. Attach the socks at the back of the jacket using a duck tape. Don’t forget your black gloves for your hands. 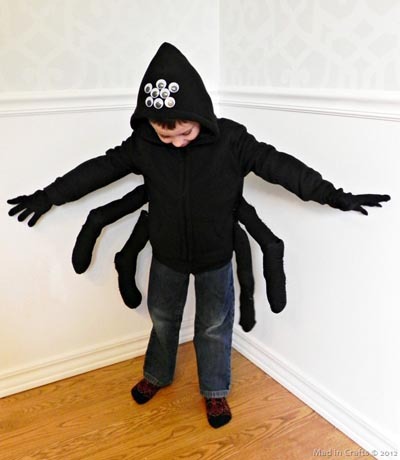 Check out the full instruction of this spider costume. We want the best for our children and we want to take pride and what they do. So to make sure that the children enjoy their Halloween Party we must help them create their costume. In creating kids costume we must keep in mind that they will be playing with it. Let’s make the costume sturdy and at the same time flexible for movement. 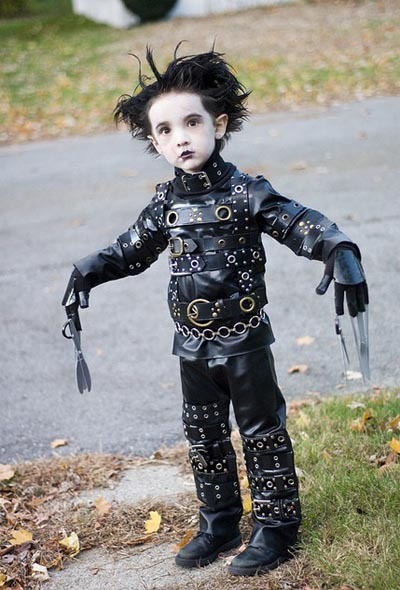 Do you want to make a halloween costume for your kid that will totally rock the neighborhood? 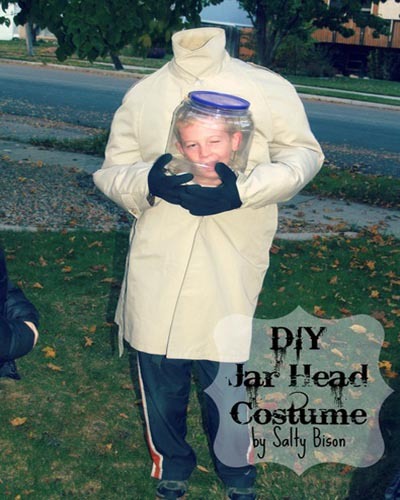 Freak his friends out by wearing this DIY jar head costume that is totally creepy. Now, he’s ready to receive those candies. And where to put it? On the jar! Who would not forget that scary movie? This costume is unusual. If you have a black leather jacket or any black jacket that you do not want to use anymore we can make that as a base. Then if you have metal straps or belts you can sew it or glue it to the jacket. You can do the same thing with your black leather pants or any black pants. For your gloves you can sew the scissor through its button hole or if you have a knife without the handle and has a hole to sew it through the gloves, that’ll do. Wear the gloves during the presentation only for safety purposes. To make a wig out of yarn you will need a knit cap. Sew the yarns into the knit cap and fix it in your desired style. 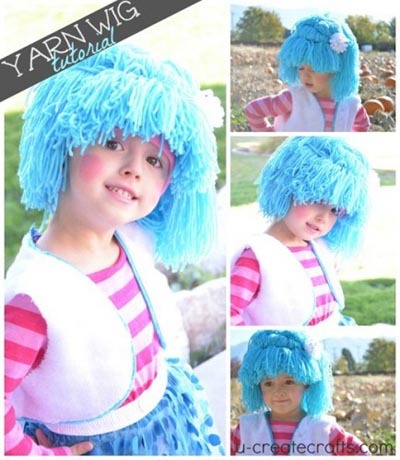 Learn more about this Raggedy Yarn costume. Use a helmet, cargo pants, green shirt, boots and plastic gun. The idea is to make your child look like a toy so all you have to do is spray green paint on your materials and let it dry. 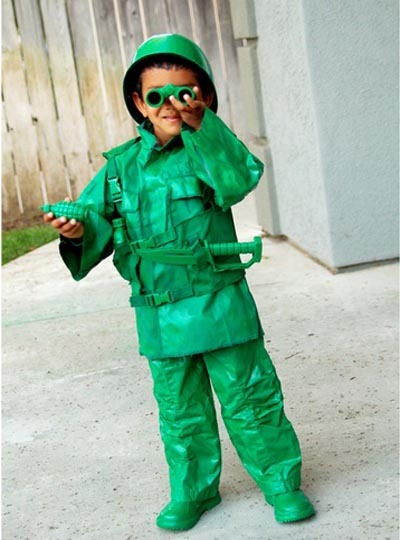 Learn more about this Green Soldier costume. In a paperboard you can draw a pattern of a two separate wings. Then trace the pattern into the fabric and cut it that will be your base. From the pattern create different sizes from small to large size. Cut the shapes. Sew the different size into the base pattern. Put a ribbon at that will tie the wings to the neck and another ribbon to tie it on their fingers. Now you can fly. Learn more about this wings costumes. Turn your child into an evil doll. 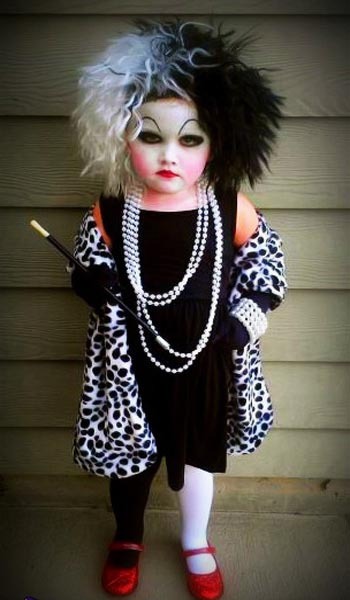 You can make her as scary and creepy as Cruella deville. Who says that we can’t make Halloween romantic? In fact couples can pair up for a Halloween Party and show off on the stage. How about a date in cemetery? You can use a tomb for a table and put on a candle light and the skeletons will serve dinner for you. You can use a white corset for your top and then pair it with a long white skirt. Get a bouquet of roses and put on a veil. 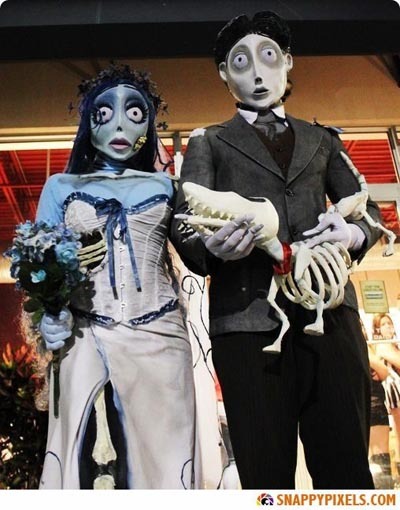 The groom can wear a tuxedo and bring a skeleton with him. You can use a fabric with an animal print. For men cut it in big triangular shape and you can put a tie on the side. Shred the sides of the fabric for the caveman effect. For the lady you can sew it as a one arm dress. Add a bone to your hair and it’s finished. 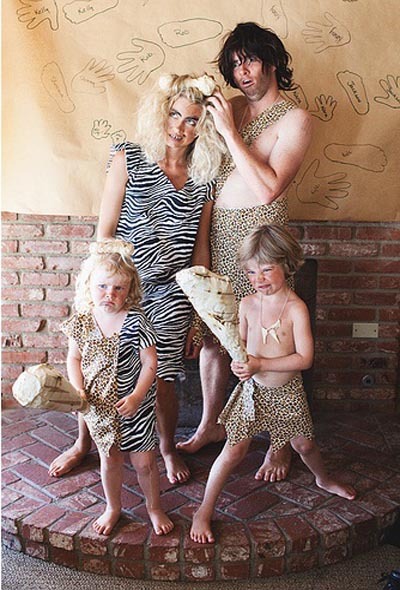 Learn more about this Caveman’s costumes. The guy is wearing a white coat and a white pants but the trick is he is wearing a chef’s hat and holds a mixer. The girls dress is made out of trapezoid base pattern. Several small circle cushions are sewed in the trapezoid pattern. Let’s eat! 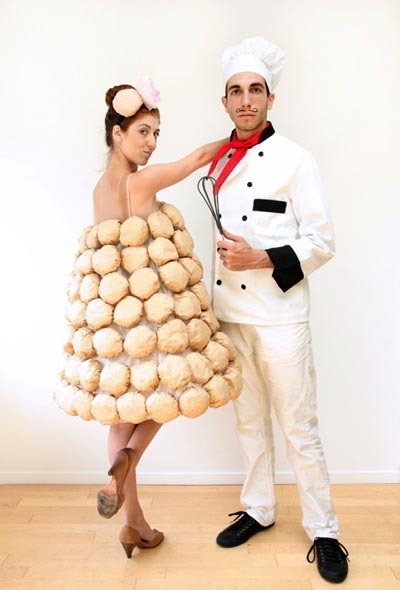 Learn more about this Chef and Pastries costume. You can be cute and hilarious wearing an elves costume. All you need are simple materials and coloring effects to make your skin turns blue. And of course, you need a lot of guts to make yourself look like the smurf and roam around the neighborhood. 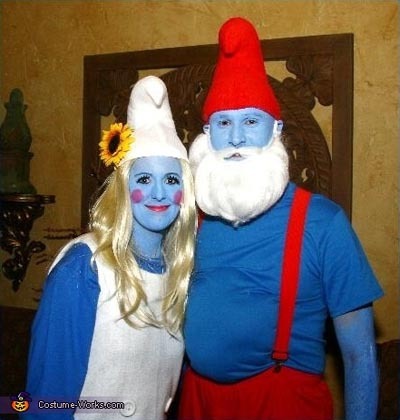 Learn more about Smurf costume. You have probably heard about the game pacman. That tiny circle thing that eats those dots to level up. Have you ever thought of making it into a halloween costume? Well, then this is the perfect time. 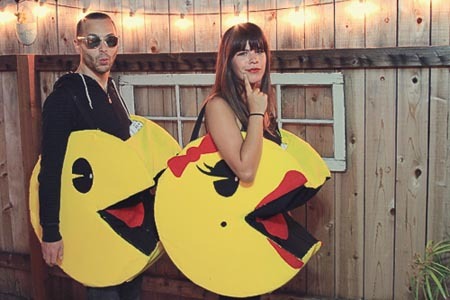 Learn how to create a pacman costume. 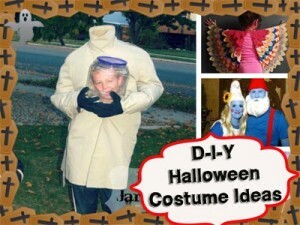 Have fun making Do-it-yourself Halloween costumes!